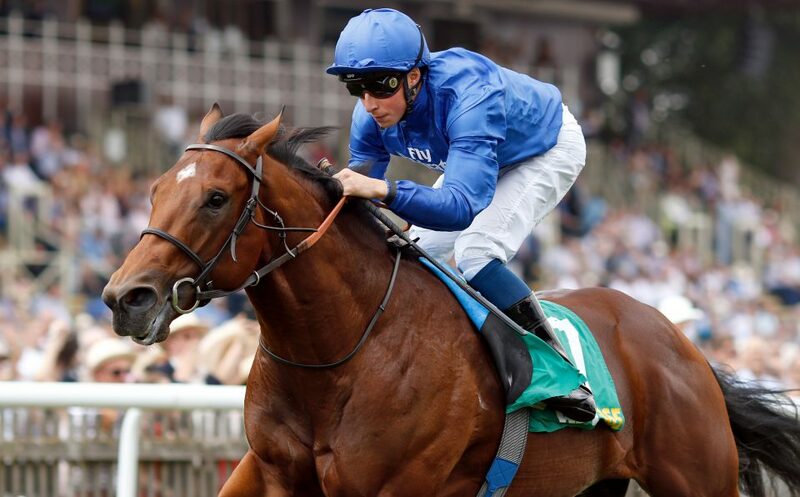 This week we turn our attention to the unbeaten Charlie Appleby-trained colt who has already won at Group 1 level. Charlie Appleby probably never wanted 2018 to end. He provided Sheikh Mohammed with an elusive first Investec Derby winner in the blue colours of Godolphin via Masar and landed two other QIPCO British Champions Series races via Blue Point (King’s Stand Stakes) and Wild Illusion (Qatar Nassau Stakes). In addition, the Newmarket-based trainer also hit the heights around the world – striking on Dubai World Cup night (via Hawkbill); at the Arc meeting (Wild Illusion); at the Breeders’ Cup (Line Of Duty) and then, memorably, he made history by becoming the first British-based trainer to land the Melbourne Cup via Cross. Amid all this, he was also unleashing some exciting two-year-olds – none more so than Quorto. The well-related son of Dubawi is the first foal of Volume and was flawless in winning each of his three races. He made an instant impression when winning over 6f on his debut at Newmarket in June and 22 days later he was fast-tracked into Group 2 company and won the 7f bet365 Superlative Stakes, back at Newmarket, by almost four lengths. His sire had won the same race in 2004. Quorto was then absent for two months before travelling to the Curragh for the Group 1 Goffs Vincent O’Brien National Stakes. He and the Aidan O’Brien-trained Anthony Van Dyck dominated the betting for the seven-runner showpiece, being sent off at 11/8 and 6/4 respectively. The betting proved accurate, the pair pulling well clear in the final stages. Anthony Van Dyck hit the front two out but Quorto had him in his sights and collared him a furlong out before asserting by a length and a quarter under William Buick. In the process, the bay colt became the first juvenile sired by Dubawi to scoop a Group 1 success. Given the stamina in his pedigree – it was exciting that Quorto should be able to achieve so much at up to 7f. He should have no bother staying at least a mile, and who is to say he will not give Appleby and Sheikh Mohammed a second successive Derby triumph? Most firms quote Quorto at 8/1 for the QIPCO 2000 Guineas at Newmarket on May 4, with only Too Darn Hot preferred to him in the betting. Too Darn Hot had Anthony Van Dyck four lengths back in third when landing the Dewhurst but it would be dangerous to make comparisons because the latter did not seem in the same form as when getting closer to Quorto at the Curragh. Quorto is 16/1 for the Derby. Dubawi did not stay when third in the 2005 Derby won by Motivator, but Volume stayed every yard when third in the Oaks and runner-up in the Irish equivalent.